Fayetteville Virtual Academy is an open-enrollment school. Students who reside in the Fayetteville Public School District attendance area are eligible to attend FVA. Students who reside in the state of Arkansas but outside the Fayetteville Public School District may apply to enroll in FVA but will only be accepted under the School Choice Act of 2015 or by receiving written approval from their residential school districts through the petition process. Students are not required to enroll on a part-time or full-time basis and may choose to withdraw. If the student and parent no longer believe that virtual learning is an appropriate option, please contact the student’s designated school counselor at the school of primary enrollment to discuss other enrollment options. Fayetteville Virtual Academy has two (2) types of enrollments—part-time and full-time. Full-time students take all courses at Fayetteville Virtual Academy. Part-time students may take between one (1) and three (3) courses at other secondary schools within the Fayetteville Public School District. Part-time students in grades seven (7) and eight (8) are required to complete all core courses (English language arts, math, science, and social studies) through FVA and may access electives at Ramay Junior High School or Woodland Junior High School. Part-time students in grades nine (9) through twelve (12) may enroll in any combination of courses as long as four (4) or more courses are taken at Fayetteville Virtual Academy. Part-time and full-time Fayetteville Virtual Academy Students may elect to graduate from high school with a diploma awarded by Fayetteville Virtual Academy or Fayetteville High School. Students who are enrolled at Fayetteville High School may access up to three (3) virtual elective courses through Fayetteville Virtual Academy. They complete the enrollment process and scheduling at Fayetteville High School. 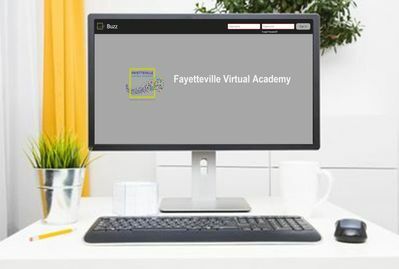 Fayetteville Virtual Academy strives to determine whether virtual learning best serves each student’s educational needs before enrolling on a full-time basis. Our school is modeled after the collegiate style of online learning and delivered primarily in an asynchronous format. Courses are extremely challenging with learners working independently, advancing at their own pace, and connecting with the teacher when additional academic support is needed. After an application is submitted for a student, his or her parent receives an email with all of the enrollment information. Parents are asked to complete the online enrollment form. Upon receiving the student’s completed enrollment form, Fayetteville Virtual Academy will schedule a time for the student and his or her parent to meet with the counselor and registrar to complete the enrollment process. Fayetteville Virtual Academy is open to all residents who live within the Fayetteville Public School District Attendance Area. Students who enroll on a part-time basis (consistent with the eligibility requirements noted) are required to attend the secondary school they are zoned to attend if they opt to enroll in brick-and-mortar school courses. For example, if an 8th grade students who lives in the Woodland Attendance Area would like to enroll in an art class at Woodland, he/she would have to attend Woodland unless an in-district transfer is approved for him/her to attend Ramay, and vice versa. Contingent upon availability, residents who live outside the Fayetteville Public School District attendance area and in the state of Arkansas may apply to attend Fayetteville Virtual Academy (if meeting all eligibility requirements). At this time, non-Arkansas residents are not eligible to attend Fayetteville Virtual Academy. Students residing outside of the Fayetteville Public School District attendance area may apply for enrollment under the School Choice Act of 2015 by May 1st prior to the school year when they wish to attend. 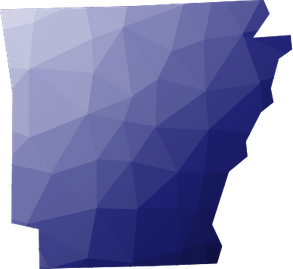 Non-Fayetteville Public School District, Arkansas Residents enrolling outside of the School Choice window must obtain written permission from the student’s zoned, Arkansas school district. Permission also requires the approval of the Fayetteville Public School District School Board. Note: This policy does not apply to students previously enrolled in another school in the Fayetteville Public School District. For example, a non-Fayetteville Public School District student that previously attended another school in the Fayetteville Public School District would not be required to submit another School Choice Form of Petition for Transfer. All students must also travel to Fayetteville Virtual Academy for the purposes of taking course semester exams. CollegeBoard, End-of-Course (EOC), and ACT Aspire exams, as well as other mandatory synchronistic events that further require non-Fayetteville residents to travel to Fayetteville Virtual Academy. Fayetteville Virtual Academy is not responsible for any costs associated with traveling to or from our school location. Students who reside in Arkansas and outside of the Fayetteville Public School District may apply to attend FVA. They will need to complete a School Choice Form no later than May 1, 2018, in order to attend FVA and reside outside of the District boundaries. If a student applies after the May 1 deadline, his/her parents may complete and submit a Petition to Transfer Form to their residential school district. If the residential school district approves the transfer, the petition is sent to the Fayetteville Public School District Board of Education for approval. Students may not enroll until approval from both school districts is confirmed. Complete the application below. Upon submitting your application, you will receive an email confirmation from FVA@fayar.net. Copyright © Fayetteville Public Schools 2019.